Global Market Insights is out with a new global forecast that says total smart speaker sales in 2017 were $4.5 billion and that number is expected to grow to $30 billion by 2024. At that time, Germany is expected to reach 10% of total smart speaker sales at $3 billion. The key smart speaker growth driver in Germany is expected to be rising smart home automation adoption. Growth in the largest current smart speaker market, the U.S., is expected to be 25% annually through 2024. The report says that device compatibility with be a restraint on growth. 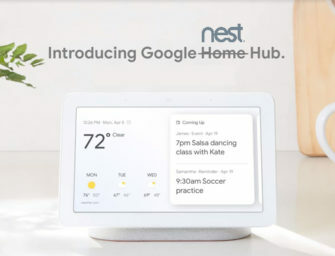 It points out that “Google Home is not compatible with Amazon Fire TV and Amazon Echo is not compatible with Casting technology by Google.” Nor is YouTube available on Amazon Echo Show and new entrants, “such as SonosOne and Samsung Bixby are having compatibility issues with devices such as Belkin’s WeMo range of switches, Philips Hue and LIFX.” This issue is broad-based given the tens of thousands of devices that voice assistants are seeking to interact with through speech. Amazon has a lead with Google closing the gap quickly. Microsoft and Apple have respectable integration numbers but everyone else will be far, far behind. On the other hand, businesses are moving quickly to support voice assistant platforms with the intent of reaching consumers through their smart speakers. Global Market Insights says that commercial applications such as Deutsche Telekom’s integration with Alexa for radio and television services will grow at a 26% compound annual growth rate (CAGR). In addition to content delivery, the report points to advertising opportunities through smart speakers are representing a new catalyst for growth. Advertising on these devices will propel the growth of smart speaker market size over the next few years. Businesses are increasingly experimenting with advertising via these devices due to their increasing popularity. The report covers a wide variety of the leading smart speaker devices and lists data coverage of 18 countries in five regions included in the report. This report is available for purchase.